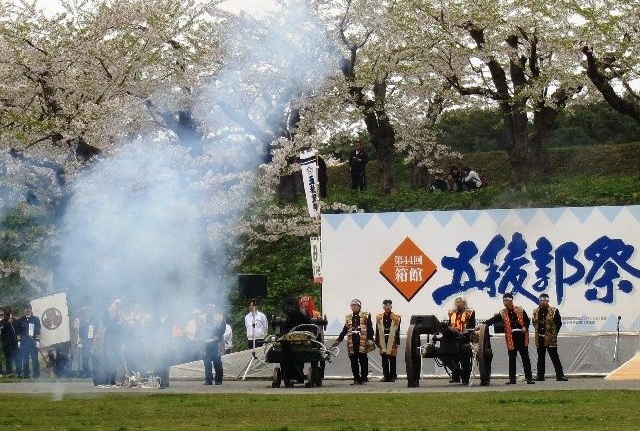 In 1869, the end of the battle of Hakodate in the civil war between samurai and the new government forces brought the dawn of a new era of Japan. 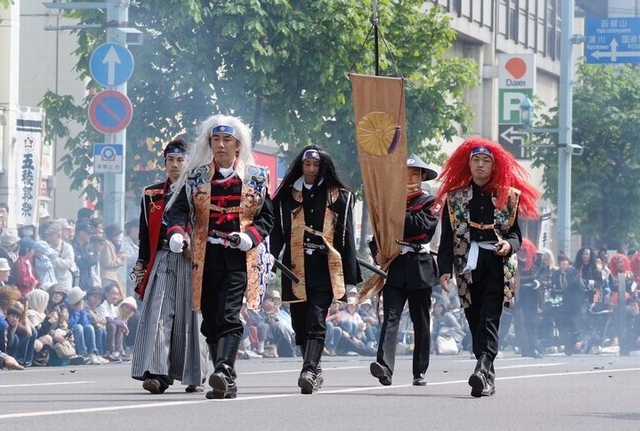 A festival commemorating warriors who died in the battle is held in May. 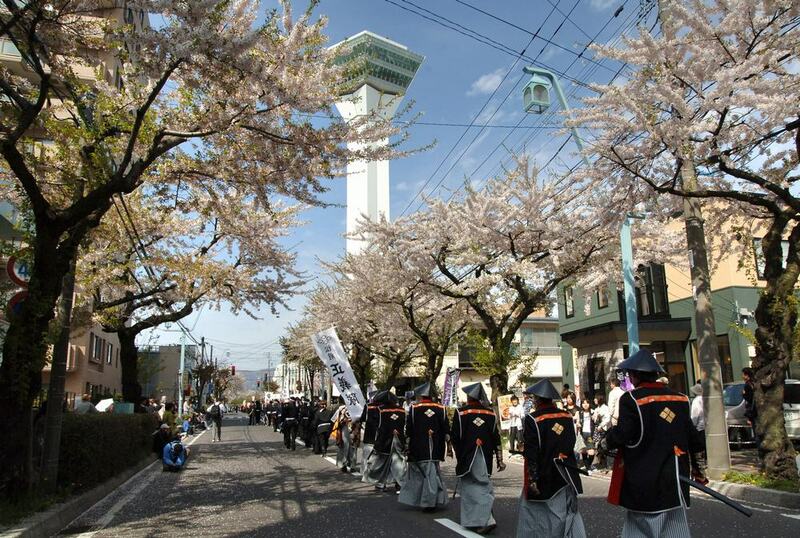 The main feature is the parade of about 1,000 people clad in combat uniforms in those days. 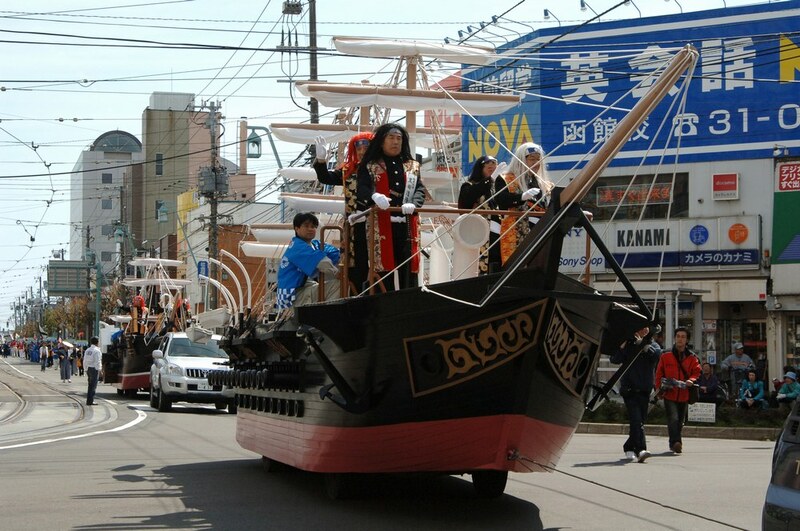 In the course of the parade, they act out, as a motif, events that happened in the period of about 15 years between Commodore Perry's coming to Japan and the end of the battle of Hakodate. 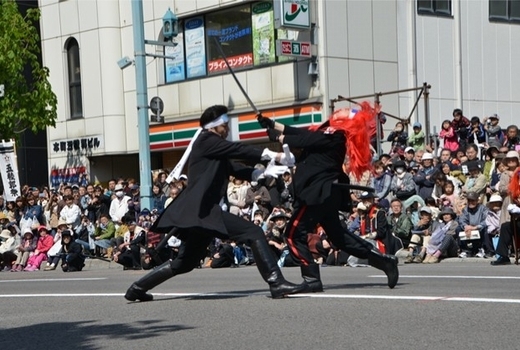 There is a contest where applicants play as Hijikata Toshizo, the most popular samurai who died in the battle.